Taking the lead! 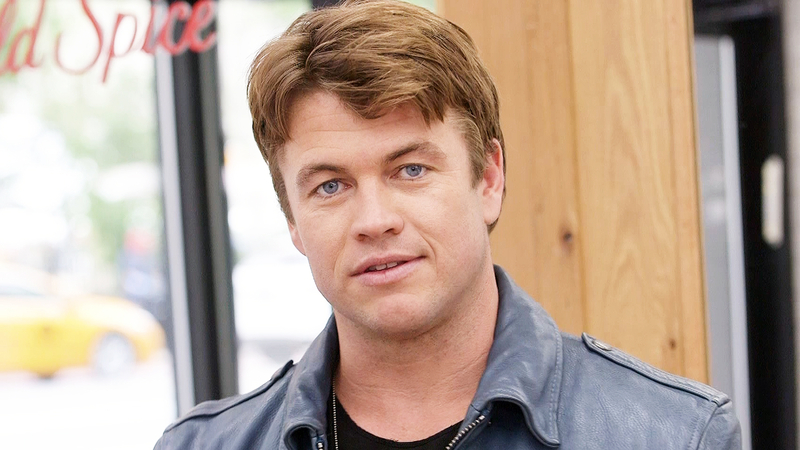 Luke Hemsworth is gearing up to star in his first leading role in the upcoming Wild West film Hickok, which has him following in the footsteps of his younger brothers Chris and Liam Hemsworth. However, that doesn’t mean they aren’t paying attention to what one another is doing. “We have a healthy rivalry with everything that we do,” the Westworld actor said. With neither of his brothers releasing a film this summer, it certainly feels like it is Luke’s time to shine. In addition to Hickok, Luke will be filming the second season of HBO’s Westworld (he plays head of security Ashley Stubbs) and starring in the upcoming sci-fi drama Encounter, which was inspired by the television series The Twilight Zone. Knowing that the father of four is a fan of competition, Us Weekly Video challenged the 36-year-old to a movie quiz while he was in New York City teaming up with Old Spice. Hemsworth was put to the test to guess a movie based on just five words or fewer Is this hunky actor a secret pop-culture phenom? Can he guess The Notebook, Forrest Gump and his younger brothers blockbuster hits Hunger Games and Thor? To find out if Luke is a master of movies, watch the video above! Hickok hits theatres July 7.